Don’t let all the cyber threats out there scare you. Yes, they are cause for alarm but ESET’s security software can make you virtually invulnerable. Load up with an ESET coupon to bolster your savings while vaccinating your computer against those germs making the rounds. Which ESET Product is Right for You? Unfortunately, the bad guys never rest when it comes to developing new viruses, phishing schemes, bots, and hacking assaults. The good news is, the good guys at ESET never rest either. Their latest 2014 software is designed to keep you one step ahead of the threat with the most up-to-date protection. Take a look at our overview of ESET’s award-winning software to help you decide which one of their security suites best suit your needs. This is our favorite ESET product because it provides ultimate Internet security consisting of excellent levels of parental controls, stringent spam filters, customizable firewalls, and ahead-of-the-curve malware detection, protection, repair, and removal for your PC. Another thing we really liked and found very helpful was the Internet security training module, which comes included and is easy to follow. Smart Security effectively detects and removes every type of malware, including viruses, phishers, rootkits, hacker attacks and more. After your first launch and scan (which seemed faster than other similar products) you’re able to customize subsequent scans to go even faster without interrupting your work in progress. It also features external device scanning, ensuring that flash drive your office or roommate pops in won’t get your PC infected. What's more, it does all of this using a lightweight platform – unlike bloated competitor software. The parental control functions were especially sharp. You’re able to set up complete control of your computer's Web access, filtering and limiting content specifically, and well as by category and theme. Plus, you can determine how long selected users get to spend online, where they go, what they see, and who they talk to. Of course, ESET provides complete support for their software including online and telephone. They also feature educational videos, articles, and easy to understand user guides. We confidently recommend ESET Smart Security because it does everything it claims it does and does it well. Make sure to use the ESET coupon code to save when you decide to let it be your main line of defense against any type of cyber threat. This is ESET’s fifth generation and most advanced antivirus and antispyware product. It doesn’t do all that Smart Security does, but it does plenty and comes in at a slightly lower cost. Besides viruses, it also guards against worms, trojans, hackers and other nefarious cyber activities. Antivirus won’t bog your PC down as it boastsone of the smallest program file sizes of all antivirus software. It’s lean, it’s mean and it employs an intuitive interface and alert system, making it simple to use. If you’re looking primarily for virus protection, this will do you just fine. 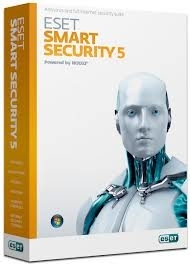 It too comes bundled with the ESET Internet security training module, which we liked so much in the previous product. This piles on an impenetrable layer of protection to Apple’s OS X security features. If you have a Mac, you need it because the era of Mac’s being immune to attack are over. Guard yourself against personal information theft, viruses, trojans and other malware that targets Mac’s AND PC’s. Bugs attached to files like videos or MP3’s can leave your Mac unharmed but still be spread through them, so don’t let yourself become an unwitting carrier. Cybersecurity training is included in this package as well. All three of these products are available as 30 day free trials and give you the option of purchasing protection for one to five computers, for one or two years. You know the score – if you’re gonna go online, you gotta go with an armored-up computer. There are a lot of people out there looking to find a wink link to exploit. Don’t let it be you. Deploy that ESET coupon code, save some money on your purchase, and feel secure that you are well-prepped for all ill-intentioned comers. 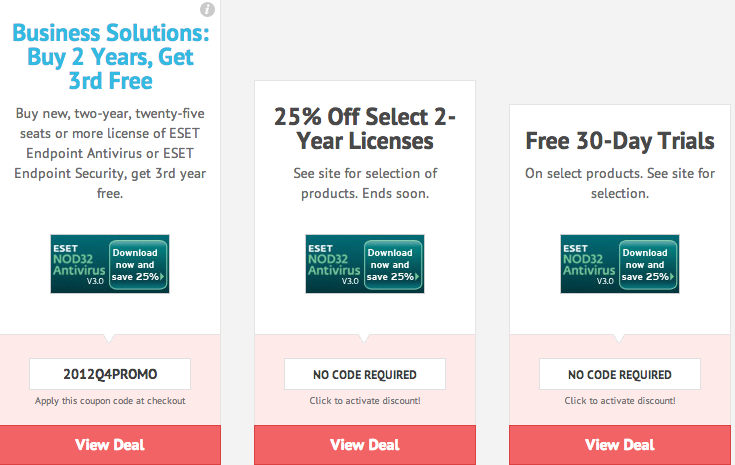 ESET.com offers a wide range of coupons and deals that can be redeemed online for big savings and free shipping. The offers you typically find for ESET.com at CouponPal will not require an ESET promo code to save. 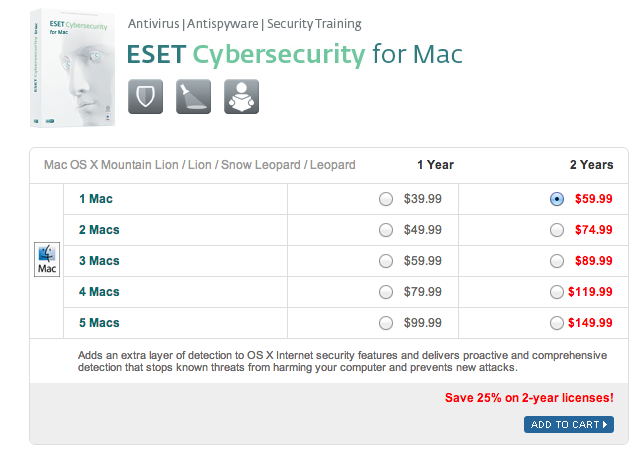 Instead, simply click "View Deal" on the offer you want and a new ESET.com page will open with the selected discount automatically applied to the price at checkout. Once you find the best deal for you, click it. This page will redirect to ESET.com with your ESET promo already activated. Checkout at ESET. Your ESET discount should already be applied In the event that your deal required an ESET promo code, paste it in the the field, "If you have a promo code, enter it here" and click on “Apply." Keep your computer from being exposed to the dangers lurking on the Internet. Get industry-leading antivirus protection to keep your computer malware free using an ESET promo code to get the best price on the best protection. ESET provides a full line of security products for use at home or as part of a business no matter wether you are working on a Mac or PC. 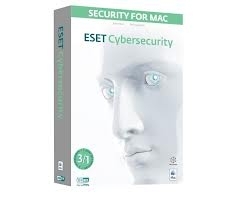 Choose from their fantastic suite of software, which includes ESET Smart Security 6, ESET NOD32 Antivirus 6, and ESET Cybersecurity for Mac. To get complete protection for your PC, invest in Smart Security 6 has got it all: Antivirus, Antispyware, Personal Firewall, Antispam and Parental Controls. Working on a Mac? No problem. Cybersecurity for Mac delivers will block and repair the damage done by worms, trojans, spyware and other threats. Whatever operating you run, ESET can keep your system running full-speed and bug free. Their programs can even guard your Android platform smartphone with their ESET Mobile Security. It uses their NOD32 technology to ward off malicious apps, viruses and physical theft while keeping your personal information safe and secure. It Mobile Security also blocks spam, unwanted calls, and features remote lock and info wiping functions, should your phone go missing. ESET’s Small Business Bundle is a great value, dishing up complete malware and email protection for all of your workstations with minimal system impact. Whether you or your co-workers are in the office or working remotely, you can go about your business knowing your network is safe from outside intrusions. The ESET website gives you the opportunity to scan your computer for free and whatever software your choose, there is an option of a 30 day free trial. Every product also includes comprehensive and simple training on how to get the most out of your purchase. Don't let a computer virus become a big problem. Stop malicious attacks from infecting your system by using an ESET promo code to get the software you need to protect yourself. 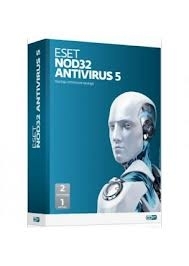 You can rest easy when you purchase antivirus or security software from ESET. They carry only the best programs to protect your computer from things like spam and identity theft. Here are some questions you might come up with while searching the site. Why isn’t my ESET promo code working? If your ESET promo code isn’t working when you go to purchase software, check to see if there are any special restrictions attached to the deal. Expiration dates or minimum size orders can keep your promo code from being applied at checkout. You can reach customer service by calling 1-619-630-2300, Monday through Friday from 6 a.m. to 6 p.m. (PST). You can also email them at Contact Us. ESET currently accepts credit cards only for payment. How do I renew my antivirus? You can renew your software by going to the Renewals page. Enter the username and password you used when you first registered. Select the renewal process you’d like, and add it to your cart. If you think your computer might be infected with a virus, there are a few steps you can take. 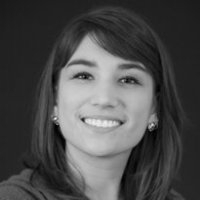 ESET provides you with detailed instructions to go about cleaning up your computer. Go to the Home Support page for more information. Can I download a free trial? ESET is more than happy to hook you up with a free trial of their products (including Smart Security, Mobile Security, and Cyber Security Pro.) You can download their free 30-day samples by going to the Trial page.